The garnet has thousands of years of experience in adorning jewelry, but it looks completely fresh in this tension set garnet ring in 14K white gold! A 6.5mm round garnet is the star of this modern piece and it's given an updated personality with a simple, sophisticated setting. 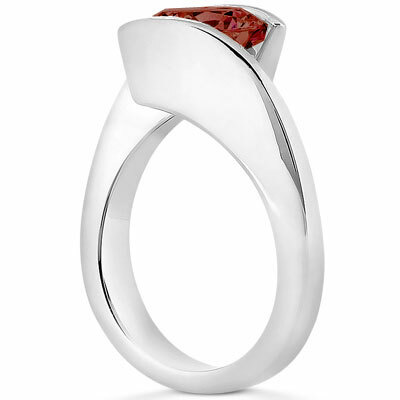 The shining band of this contemporary ring gracefully curves to embrace this sparkling red gemstone, holding it in an eye-catching tension setting of gleaming 14K white gold that sets this piece apart. A 6.5mm garnet is tension set into a 14K white gold setting. 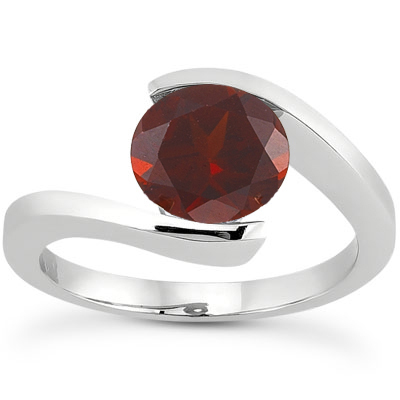 We guarantee our Tension Set Garnet Ring, 14K White Gold to be high quality, authentic jewelry, as described above.